With the spirit animal of a Clydesdale (#workhorse! ), our V(I)P is no stranger to the lights! Whether donning a tutu, or marketing artists at ABT, NYCB, and Lincoln Center, Kimberly has just the right amount of Type A to make it happen! Coined as a “New York arts manager you need to know” by CBS Eye on New York, she has produced large-scale dance and opera events. Though mildly anti-social, she has developed resonant relationships with press and influencers in dance, theater, culture, political, fashion, society and fitness sectors. She links public relations, branding and social media efforts into a constant and furious funnel of staying power and accountability. 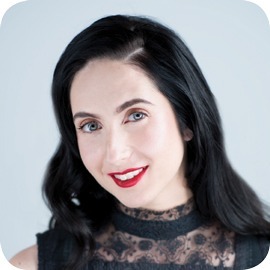 Kimberly holds a Bachelor’s in Psychology with concentration in Dance Psychology, actively teaches and choreographs for dancers of all ages, and founded The Ballerina Ball, an interactive and creative dance concept which introduces young dancers to the great stories of classical ballet and beyond. Born and raised in Westchester, NY (it’s not upstate, idiot! ), she spends her days spoiling her French Bulldog Penelope and is in the process of making her #instafamous.